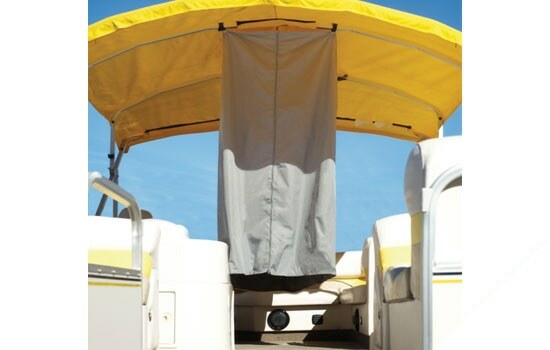 Privacy on the water in a matter of minutes! The Heavy Duty Summerset Bimini Privacy Room provides complete privacy while changing your clothes or using a portable toilet. 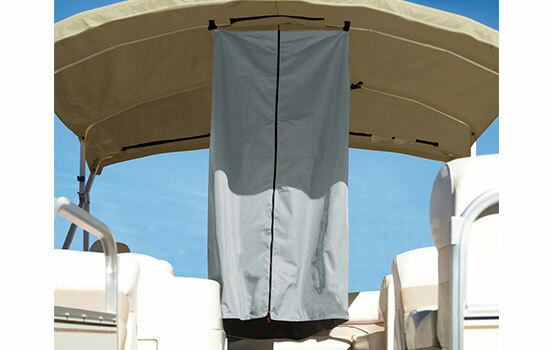 This versatile partition can be mounted in a number of locations under your existing hard top or bimini top. 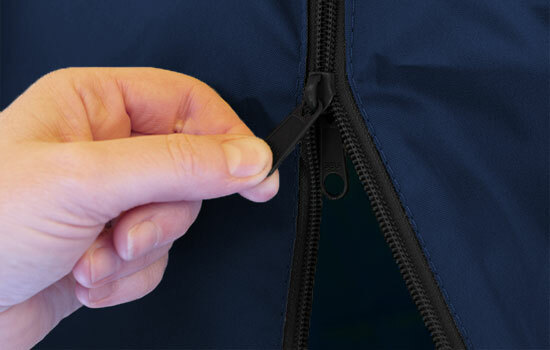 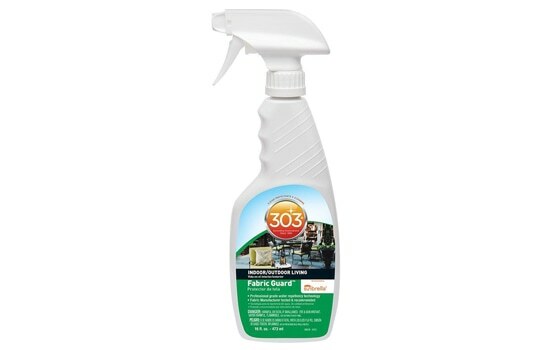 Features Heavy Duty 600D Solution Dyed marine grade polyester with a zippered double-sided, floor to ceiling entryway for easy access. 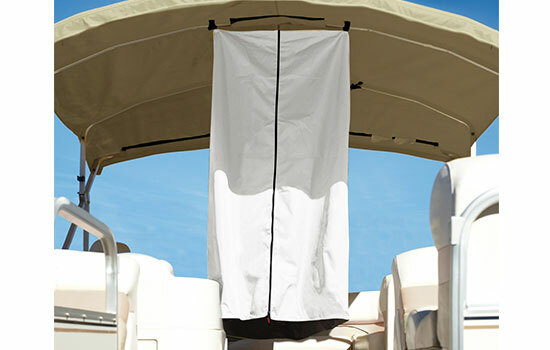 This partition provides complete privacy from onlookers while out on the water. 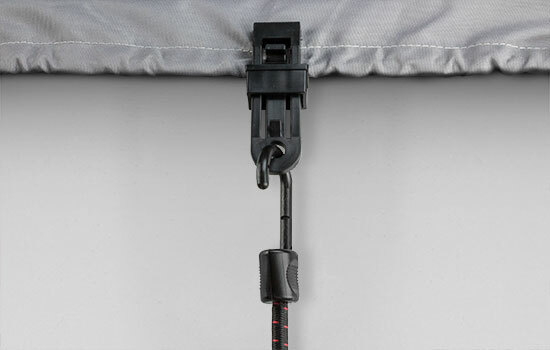 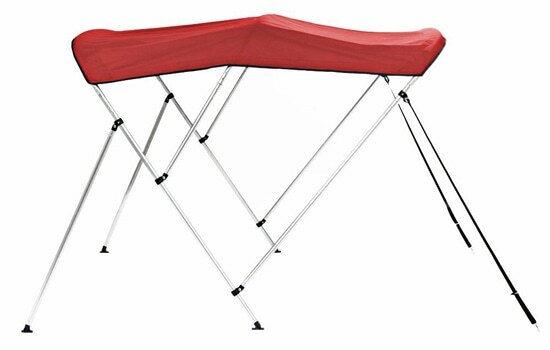 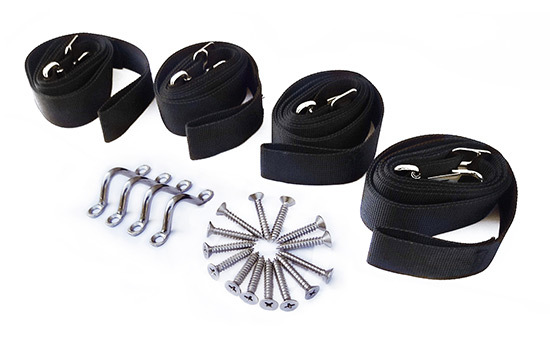 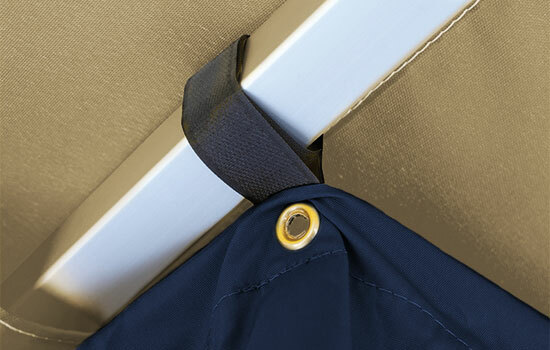 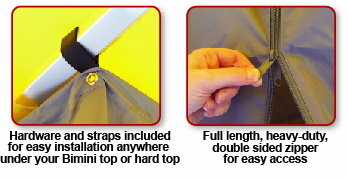 It can be installed under any bimini top or hard top with included straps, bungee cords and hardware. When installed it measures 30" wide x 30" deep x 70" tall. 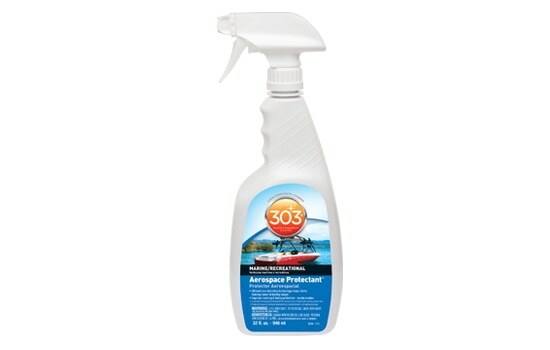 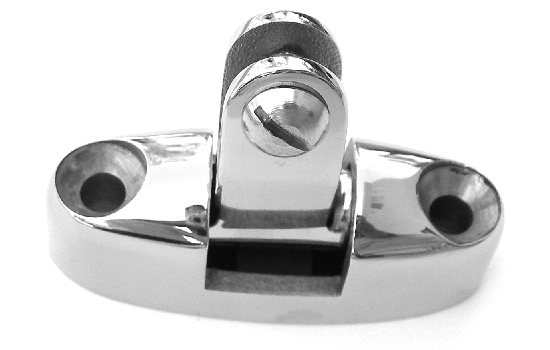 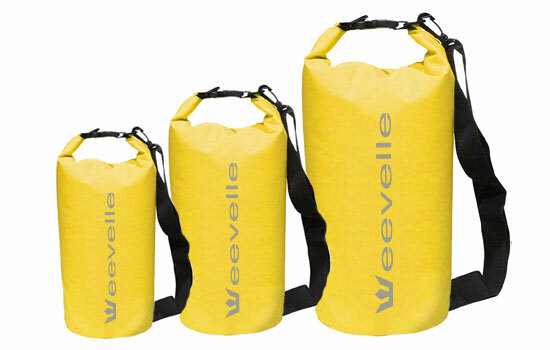 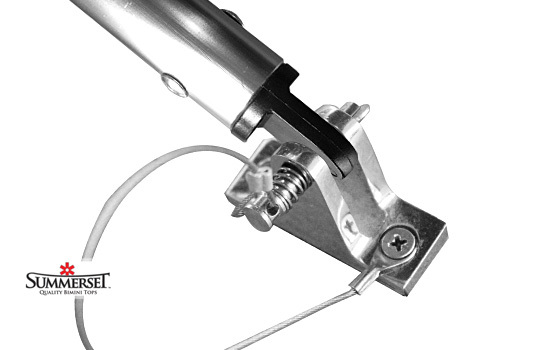 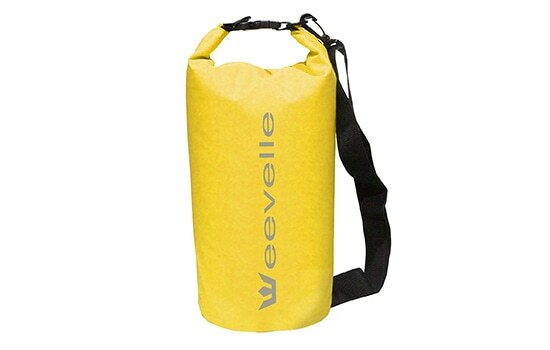 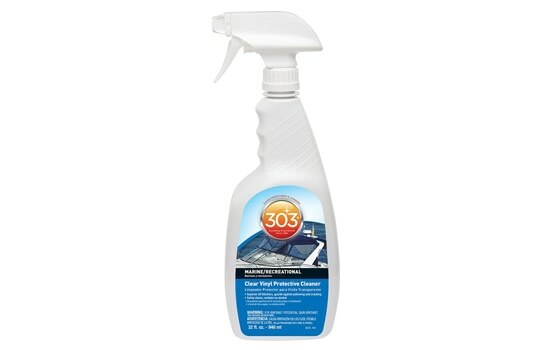 Can be used on 3 or 4 bow bimini tops.